Jewish slave laborers in Buchenwald were spared immediate execution only to be worked to death. There appeared to me to be two ways of surviving these camps of death. The first was to forget or abandon all laws of decency, respect, and trust in your fellow men, and fight recklessly and ruthlessly for your own skin, irrespective of any consequences to your fellow inmates. You had to rob, steal, and “organize” for extra food and better working conditions, curry favor with your Meisters, and squeal on your colleagues for the price of an apple or slice of bread. The second was to hang on to dear life by trying to find hope and courage beyond human power. There were plenty who adopted the law of the jungle, and they became the terror of the camp. I—and many like me—could never bring myself to pick someone else’s pocket while standing to attention at Appell, or rob him of his last piece of bread or wurst, or indulge in tricks which those who had been in the camps much longer than we appeared to accomplish so easily, and without conscience pricking them. Some of us preferred to adopt the old and tested Jewish method of finding hope and strength in G‑d, and in prayer to Him. Every morning and evening, fifteen or twenty of us crouched together quietly between the bunks to recite some parts of the prayersThus, every morning and evening, fifteen or twenty of us crouched together quietly between the bunks to recite some parts of the prayers, and then go to work or to sleep, encouraged by the knowledge that the G‑d for Whose sake we suffered was listening to our pleas. Some laughed and mocked us. Kapo Otto, the faithful Communist, could cripple you for finding you at prayer; the S.S. would send you to the “cooler” for a couple of days for it, yet most of those sitting at what was called the “religious” table joined us regularly for a prayer session. There were: Benzi, the Table Elder; Baruch Stern, my former neighbor; Modche Fischhof, my “sleeping partner”; Hugo Gross, who wondered what his former Sudeten-German boss would say when he received his letter; Weinberger, the optician who was always hungry; Max Schiff, who was considered foolish for admitting having been a secretary, and yet was rewarded for his frankness by getting an office job with no night shift, with the solace of working in a warm room. Then there were old Mr. Friedman, the eldest in the camp, who escaped the death chambers after showing an S.S. man his rough hands to prove that he was still able to work; young Walti Braun, who often wet his bed at night to the disgust and annoyance of Benzi, who slept in the bunk directly under him. 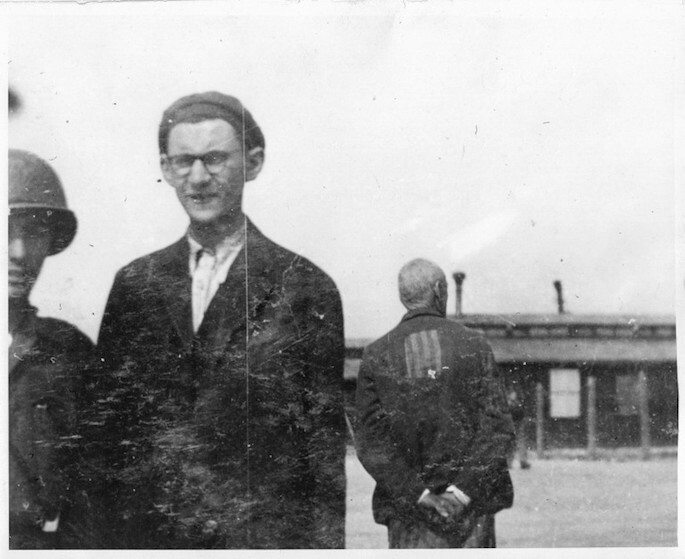 There were Herlinger, the pessimist; Akiba Simcha Ungar, the young rabbi whose prison number was one less than mine—95602; Gestetner, Modche Fischhof’s brother-in-law; thin Mr. Herzog; Federweiss, who wanted to chisel his way out of the transport between Sered and Auschwitz; Dr. Tauber, who often repeated to me some impressive words which he heard from my late father’s sermons; and, of course, Joszi Grunwald. S.B. 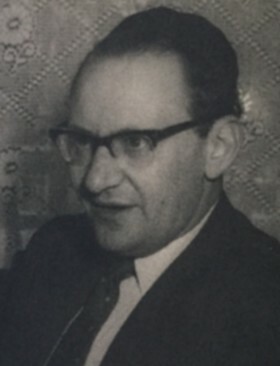 Unsdorfer recreated a life for himself in London, where he published many articles and essays on the Holocaust and other Jewish topics. As winter advanced and grew colder, life became much more difficult. The midday soup ceased, and we had to spend the half-hour break inside Halle One watching the Meisters eating their sandwiches and smoking their cigarettes. We now felt the effects of working for twelve hours without food or drink. The skin on our hands began to peel, and every tiny cut or prick became septic, and took days to heal. The evening soup became thinner and thinner, and most of us had to run four or five times every night to the toilet. The thirty-minute Appell in the knee-high snow froze our feet. This, and the absence of any news about the progress of the war, reduced our nerves to breaking point. Escape was completely ruled out, not only because of the strong guard and high wire fences, but because we had no chance of replacing our striped clothing, or of obtaining money or documents to get us past the first road control into a train. When writing the little diary in which I entered the Hebrew dates and festivals, I discovered with great delight that Hanukkah, the Festival of Lights, the festival on which we commemorate the recapture of the Temple from the mighty Greeks by a handful of faithful Jews, was only a few days ahead. I decided that we should light a little Hanukkah lamp even in Nieder-Orschel, and that this would go a long way towards restoring our morale. Benzi was immediately consulted because he had become the most reliable and trusted person in the block. Even those at the other two tables—the “intellectuals’ table,” where the doctors, lawyers, dentists, architects, and businessmen ate, and the “free table,” where the non-believers sat—even they came to Benzi to settle their quarrels, which were mostly about the distribution of their rations. Benzi would stand no arguments at his own table. He cut every loaf into eight portions and shared it out indiscriminately. He who complained received the smallest portion. Nobody ever left our table. Two problems had to be overcome: oil had to be “organized,” and a place had to be found where the lighted wick would not be seen. There was no lack of oil in the factory, but how could we smuggle even a few drops into our barrack in time for Monday evening, December 11, the first night of Hanukkah? We knew, of course, that Jewish law did not compel us to risk our lives for the sake of fulfilling a commandment. But there was an urge in many of us to reveal the spirit of sacrifice implanted in our ancestors throughout the ages. We who were in such great spiritual, as well as physical distress, felt that a little Hanukkah light would warm our starving souls and inspire us with hope, faith, and courage to keep us going through this long, grim, and icy winter. Benzi, Grunwald, Stern, Fischhof, and I were in the plot. We decided to draw lots. 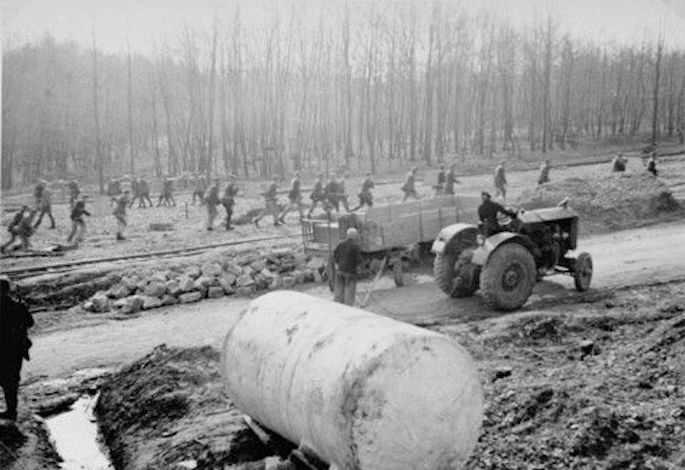 The first name drawn would have to steal the oil; the third would be responsible for it, and hide it until Monday evening; and the fifth would have to light it under his bunk. I was drawn fifth. Grunwald, who was to “organize” the oil, did his part magnificently. He persuaded the hated Meister Meyer that his machine would work better if oiled regularly every morning, and that this could best be arranged if a small can of fine machine oil was allotted to us to be kept in our toolbox. Meister Meyer agreed, so there was no longer the problem of having to hide it. On Monday evening after Appell, everyone else sat down to his much awaited portion of tasteless but hot soup, while I busied myself under the bunk to prepare my menorah. I put that oil in the empty half of a shoe-polish tin, took a few threads from my thin blanket and made them into a wick. When everything was ready I hastily joined the table to eat my dinner before I invited all our friends to the Hanukkah Light Kindling ceremony. Suddenly, as I was eating my soup, I remembered we had forgotten about matches. “Everyone must leave a little soup,” Benzi ordered his hungry table guests, and told them why. Within five minutes, five portions of soup were exchanged in the next room for a cigarette. The cigarette was “presented” to the chef, Josef, for lending us a box of matches without questions. And so, as soon as dinner was over I made the three traditional blessings, and a little Hanukkah light flickered away slowly under my bunk. Not only my friends from the “religious” table were there with us, but also many others from the room joined us in humming the traditional Hanukkah songs. These songs carried us into the past. As if on a panoramic screen, we saw our homes, with our parents, brothers, sisters, wives, and children gathered around the beautiful silver candelabras, singing happily the Maoz Tzur. That tiny little light under my bunk set our hearts ablaze. Tears poured down our haggard cheeks. By now, every single inmate in the room sat silently on his bunk, or near mine, deeply meditating.Tears poured down our haggard cheeks. By now, every single inmate in the room sat silently on his bunk, or near mine, deeply meditating. For a moment, nothing else mattered. We were celebrating the first night of Hanukkah as we had done in all the years previous to our imprisonment and torture. We were a group of Jewish people fulfilling our religious duties, and dreaming of home and of bygone years. But alas! Our dream ended much too soon. My heart missed a few beats as I stared down at the little Hanukkah light flickering away, while “The Dog” and his Alsatian began to parade along the bunks in search of the burning oil. The Unterschaarfuehrer silently began his search. I did not dare bend down or stamp out the light with my shoes for fear the Alsatian would notice my movements and leap at me. Suddenly a roar of sirens, sounding an air raid, brought “The Dog” to a stop and within seconds all lights in the entire camp were switched off from outside. “Fliegeralarm! Fliegeralarm!” echoed throughout the camp! Like lightning I snuffed out the light with my shoes and following a strict camp rule, we all ran to the open ground, brushing “The Dog” contemptuously aside. “There will be an investigation…. There will be an investigation,” he screamed above the clatter of rushing prisoners who fled out into the Appell ground. But I did not worry. In delight, I grabbed my little menorah and ran out with it. This was the sign, the miracle of Hanukkah, the recognition of our struggle against the temptations of our affliction. We had been helped by G‑d, even in this forsaken little camp at Nieder-Orschel. Outside, in the ice-cold, star-studded night, with the heavy drone of Allied bombers over our heads, I kept on muttering the traditional blessing to the G‑d who wrought miracles for His people in past days and in our own time. The bombers seemed to be spreading these words over the host of heaven. 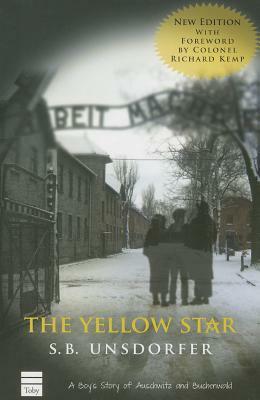 This account of Chanukah 1944 in Nieder-Orschel slave labor camp, a Buchenwald subcamp in Germany, is an excerpt of The Yellow Star by S.B. Unsdorfer. It was originally published in 1961. Unsdorfer’s personal account of surviving Auschwitz and Buchenwald became a classic in Holocaust literature. Now, a new edition is available, with a foreword by Colonel Richard Kemp (2015, The Toby Press). It is available online here. Imprisoned and tortured by the Nazis while still a teen, Simche Bunim Unsdorfer survived the Holocaust with his faith intact. He made his way to England where he learned English and started a family. He served as general secretary of Agudath Israel in Britain and was founder of its community newspaper, The Jewish Tribune, which he edited until his untimely death from a camp-related illness at the age of forty-three. 2000 approximately Jew’s from Czechoslovakia came to Australia after WW2 My Father OBM remembered the Unsdorfer Family from Bratislava (Pressburg) then Czechoslovakia now Slovakia from pre Wprld War 2. Sad but beautiful story, I have birthday today so I bless our nation: may we never ever go through such a thing! May we be able to practice our holy Torah always in peace and simcha until Moshiach will come, may it be soon!